Built to provide the best comfort and conveniences of a modern lifestyle, this single-family home makes comfortable living and entertaining easy. 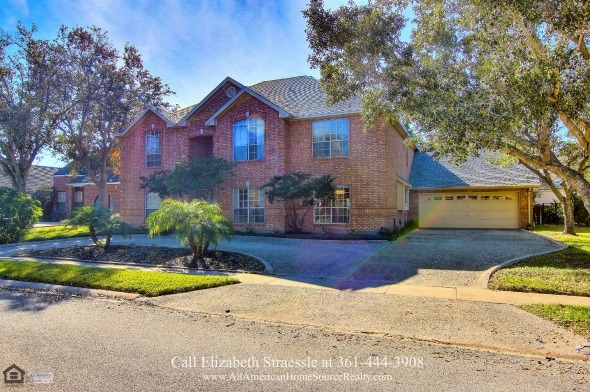 Tucked in the highly desirable community of The Lakes, this Corpus Christi home for salefeatures 5 bedrooms, 3 full bathrooms, and 2 half baths in 3,588 square feet of living space. 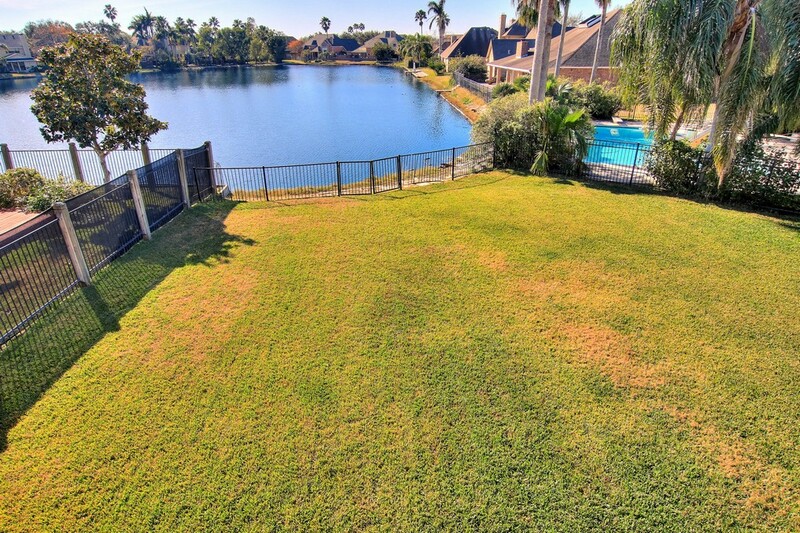 You’ll love its breathtaking water views from every window across the back of the home. It also has a private, flat backyard, a perfect place for an outdoor gathering. 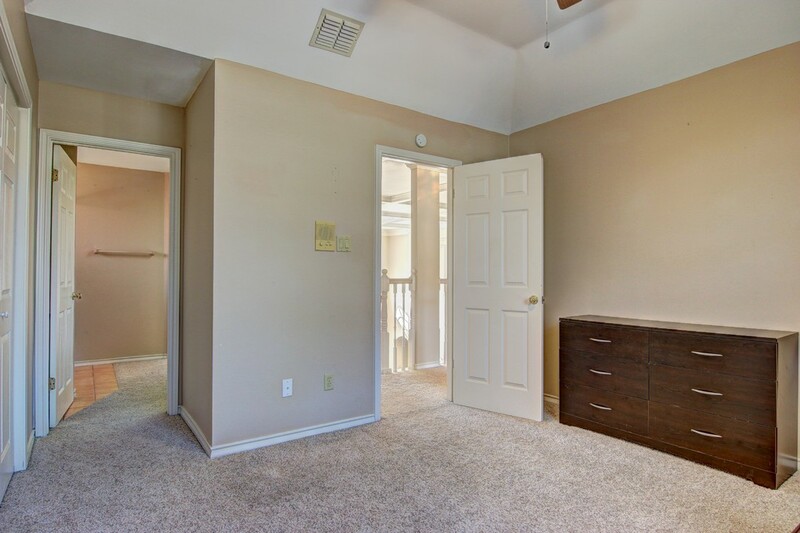 It is well-loved and has all the amenities you need. The previous owners took meticulous care of this home. They had the roof replaced in July 2015 and the foundation work that comes with a transferable lifetime warranty. This home is a suburban oasis, a relaxed and peaceful environment for your loved ones. 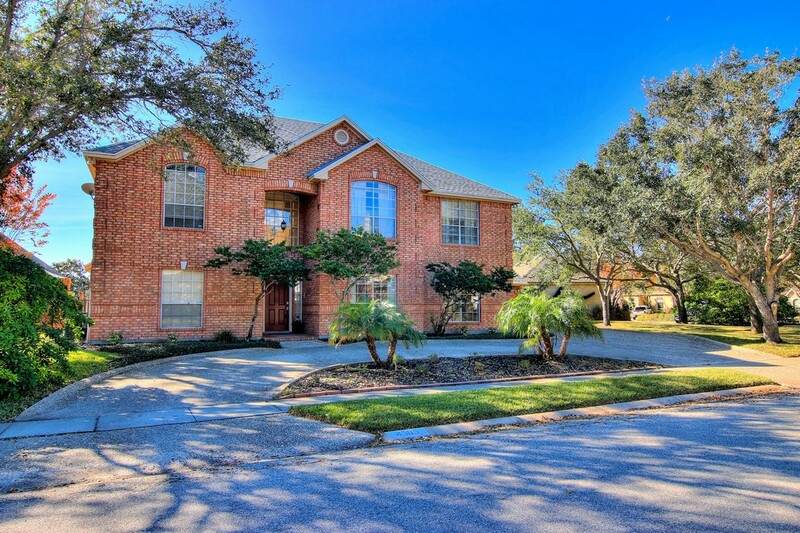 If you are looking for a dream home in a prime location, this is the home for you. 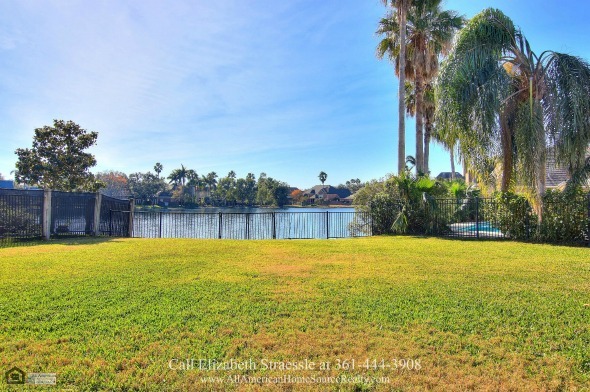 If you are seeking for a peaceful and relaxing community close to nature, The Lakes is what you are looking for. 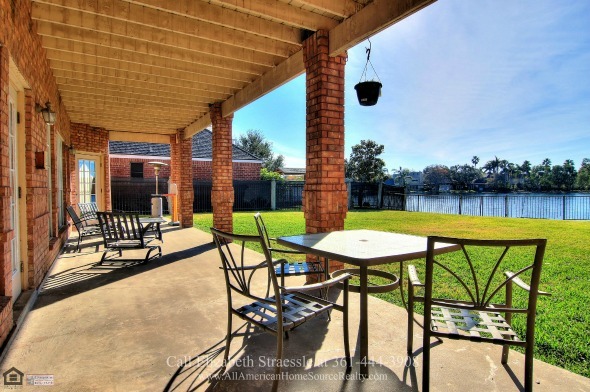 Residents love its serene settings and the parks around this community. There’s also a pool and tennis courts. Downtown Corpus Christi is less than a 20 minute drive away, and there are several dining and shopping options nearby, conveniently located for your needs. 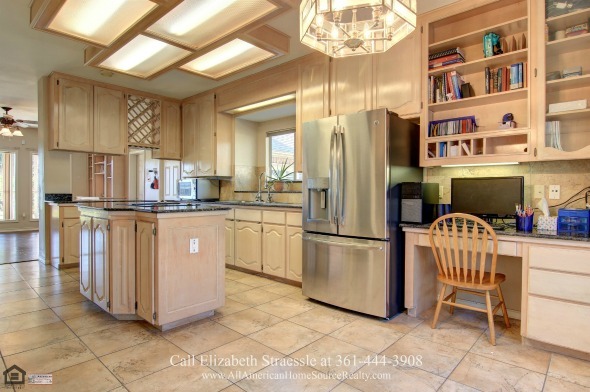 Open the charming main door and step into a lovely foyer with high ceilings and tiled floors. 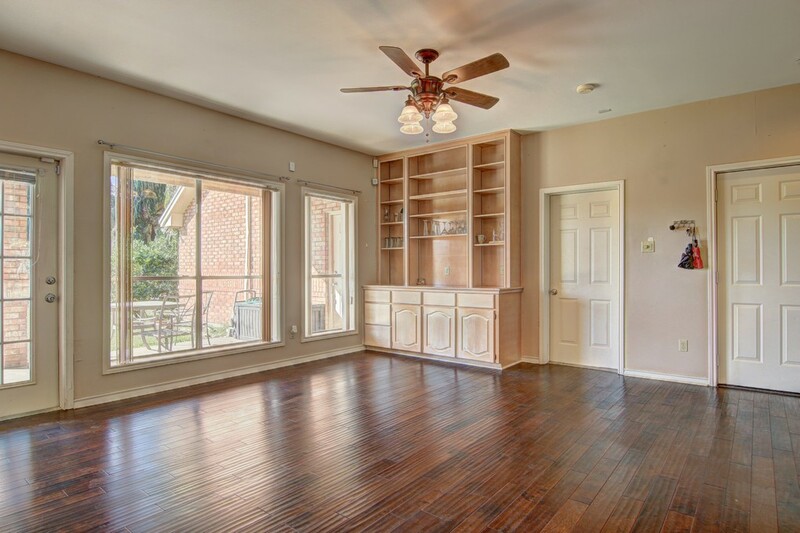 Featuring an open concept layout, you can easily see and access the different areas of this home from the foyer. 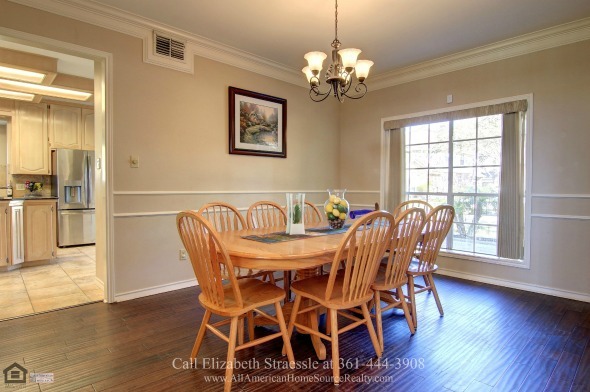 To the right side of the foyer is a formal dining room with a large window and hardwood floors. Crown moldings on the ceiling add a touch of elegance. Neutral tones grace the walls, allowing for easier furniture selection. This formal dining room is spacious and can easily accommodate a table for eight guests. Add a painting, wall decor, or a cherry wood display cabinet and this place is all set! 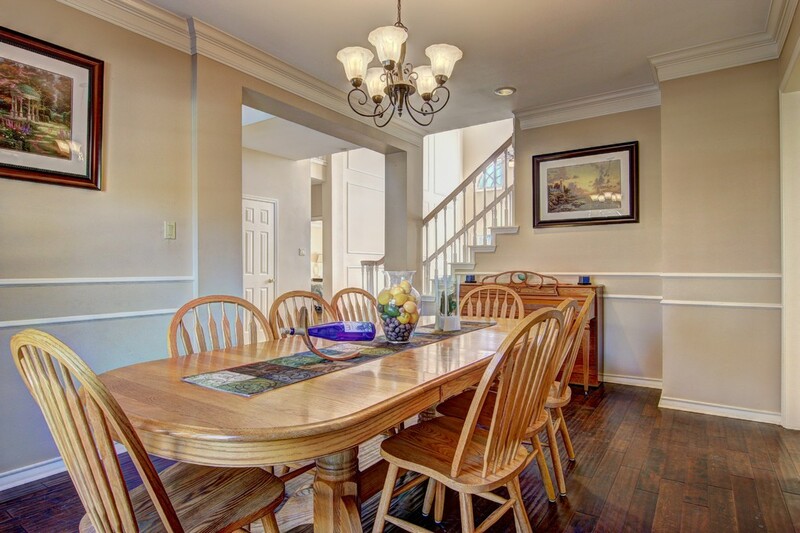 This formal dining room is open to the kitchen, set just beside it. 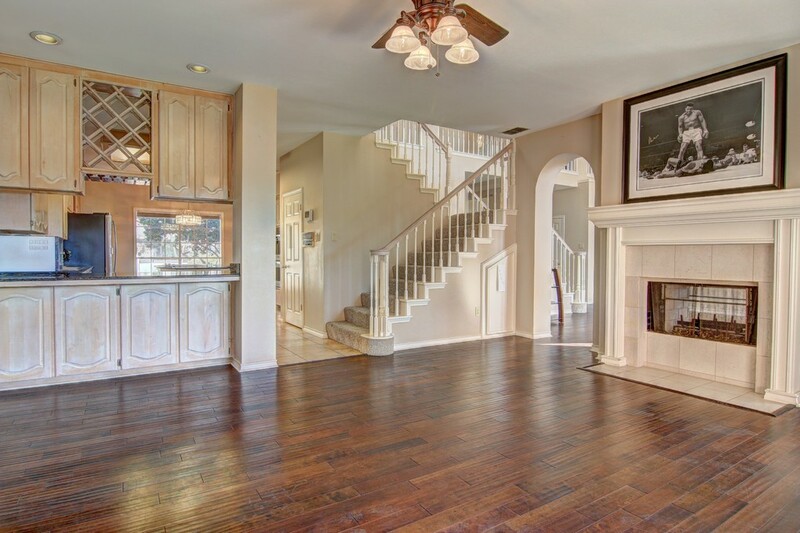 Beyond the staircase is a spacious formal living room, best for relaxation and comfort after a long day at work. It features dramatic multi-level windows which give you breathtaking water views. 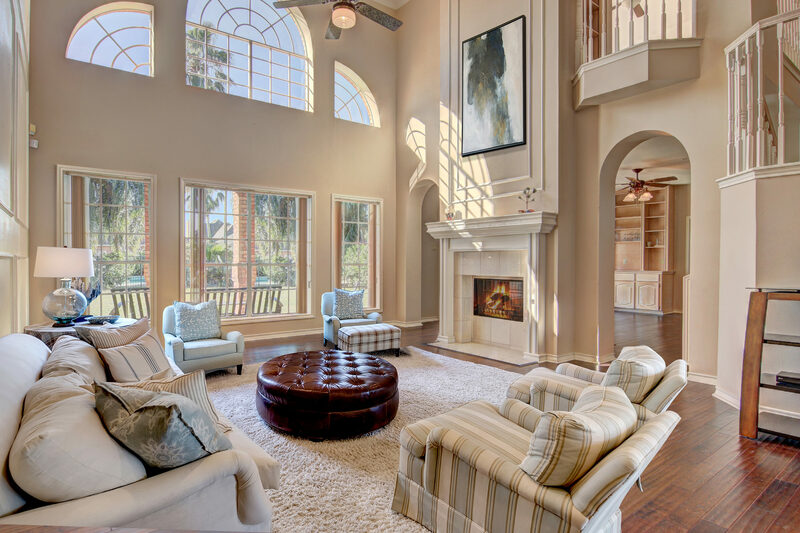 A double sided fireplace which adds elegance to this spacious room stands on one side. 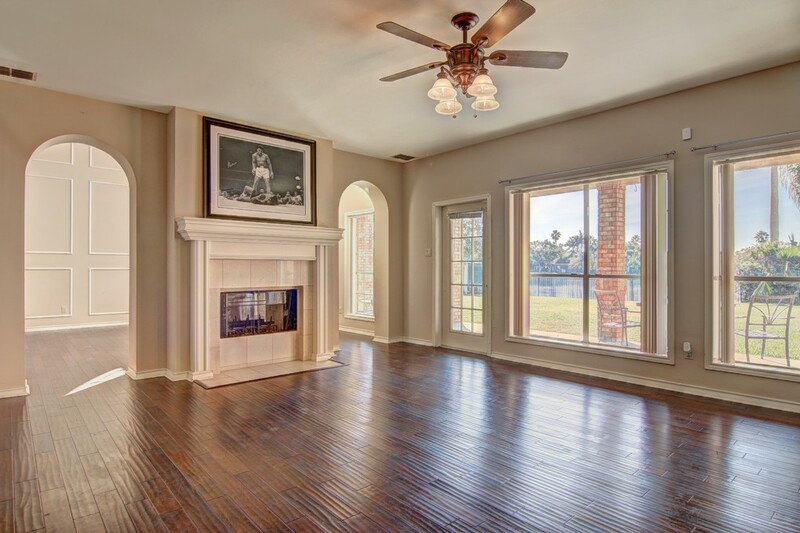 Adjoining the living room, passing through arched doorways is a family room bathed in light and comfort. Featuring neutral toned walls, huge picture windows, hardwood floors, and a fireplace, this room is cheerful, inviting and warm, a room full of happiness. The oversized windows let in plenty of natural light and allows unhindered views of the patio and the calm peaceful lake beyond. A sectional sofa can easily fit you and your kids and makes the perfect place to unwind. Put your feet up and relax while dinner is being prepared. Your inner chef is sure to be thrilled by this home’s impressive kitchen. 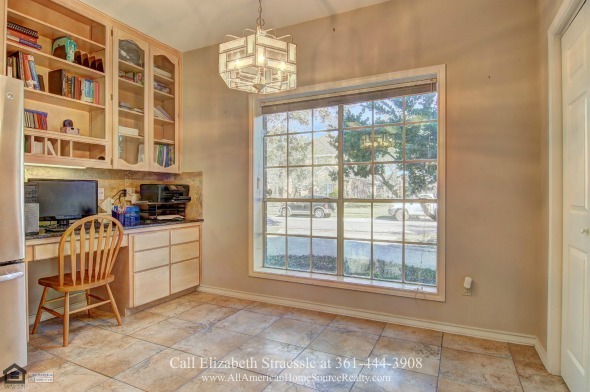 Clad with premium finishes like granite countertops, stainless steel appliances, a huge center island, double ovens, a pantry, and a built-in wine rack, this kitchen is ready for you! 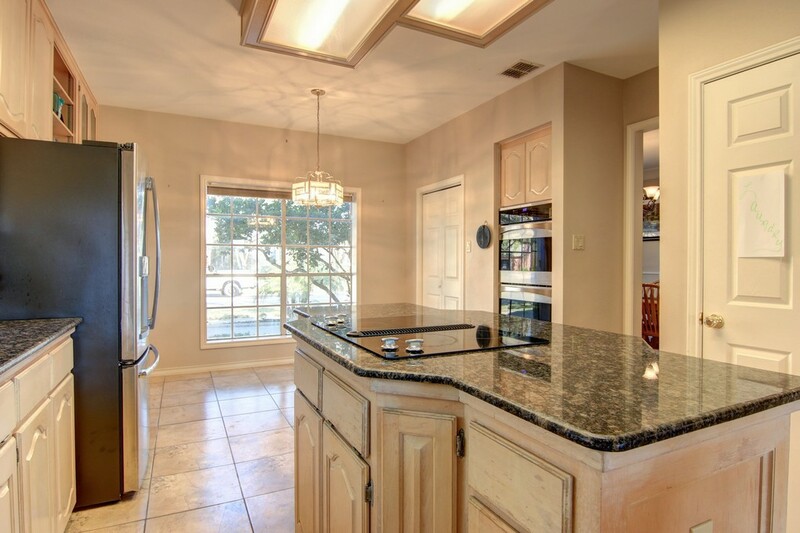 Unleash your inner chef in this fabulous kitchen and prepare your family’s favorite meals. 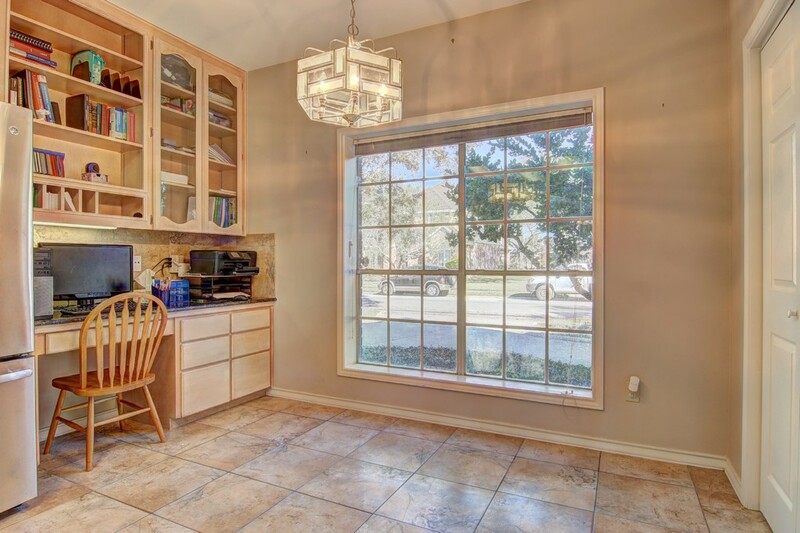 A breakfast nook is located at the side, beside huge windows that let in natural light. 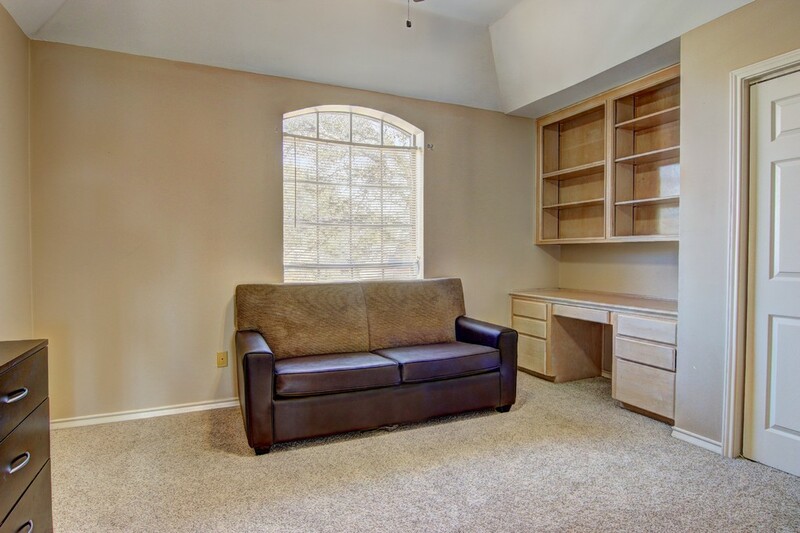 With an office area by the breakfast nook you can easily multi-task. This setup is perfect for the modern family, providing seamless transitions between spaces and allowing easier entertaining. The master suite, located on the main floor beside the formal living room, boasts of polished wood floors, large windows, with tray ceiling and beautifully painted neutral toned walls. This room is ideal as your private retreat. It is stylish and comfortable, well-lit yet cozy. Its floor-to-ceiling windows has a view of the patio and the lake. It also has private access to the patio. The ensuite bath is exceptional and offers the best of pampering and relaxation. 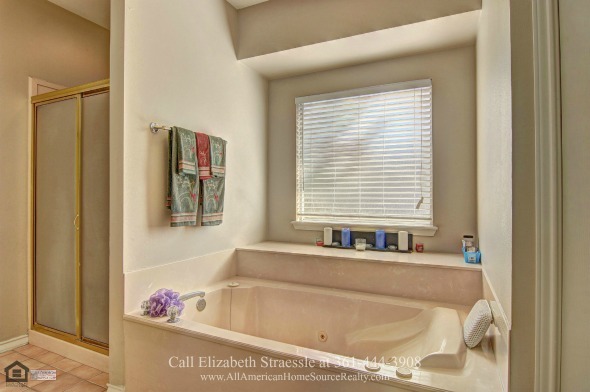 It has a brightly lit dual vanity area, a large walk-in shower, a separate commode and a tub. There is no better way to end the day than to relax and soak your aching muscles in your favorite scent in this delightful bathroom. All the other bedrooms are on the second level. 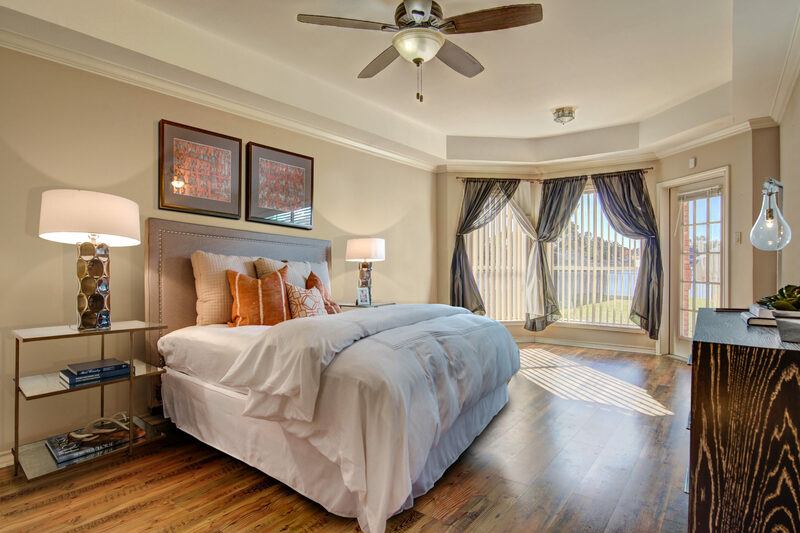 You’ll find these bedrooms to be bright and spacious, a perfect escape from a long day of work. On the second level is another room with carpeted floors and huge picture windows that overlook the sparkling waters in the lake. It also has a wet bar, built-in cabinets, and a glass door which opens to a second floor balcony where you can entertain guests. Open the glass door and step out onto a large balcony. 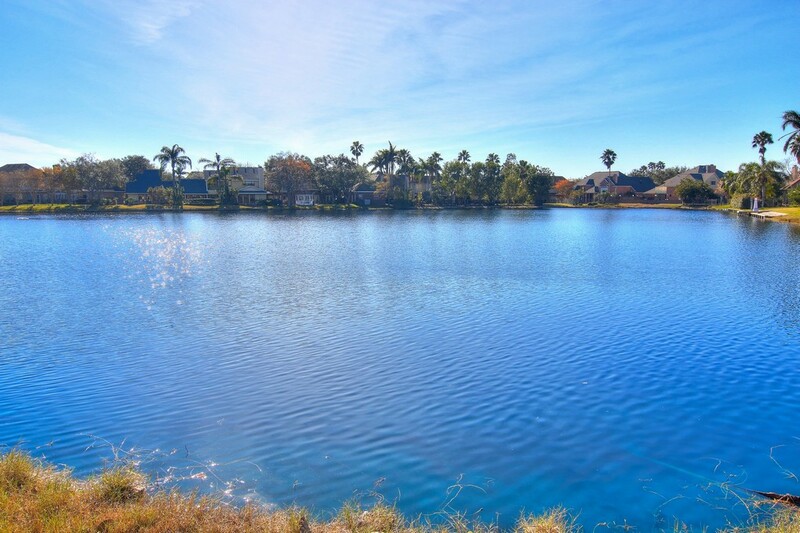 From here, you get a panoramic view of the blue sky, the peaceful lake and the other homes in the neighborhood. Set it with a table and some comfortable chairs and you have a great setting to relax and unwind. Do you love surprises? This home has one amazing surprise. 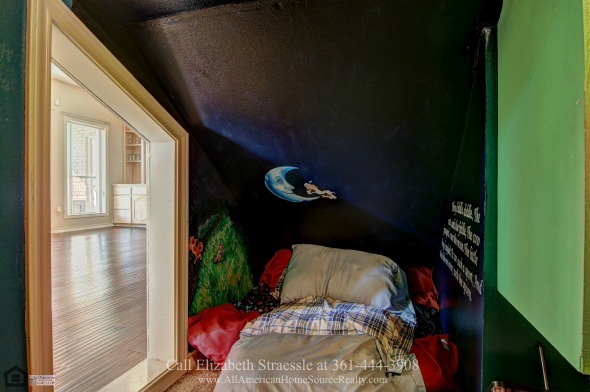 It has a nook under the stairs, just like in Harry Potter’s room! 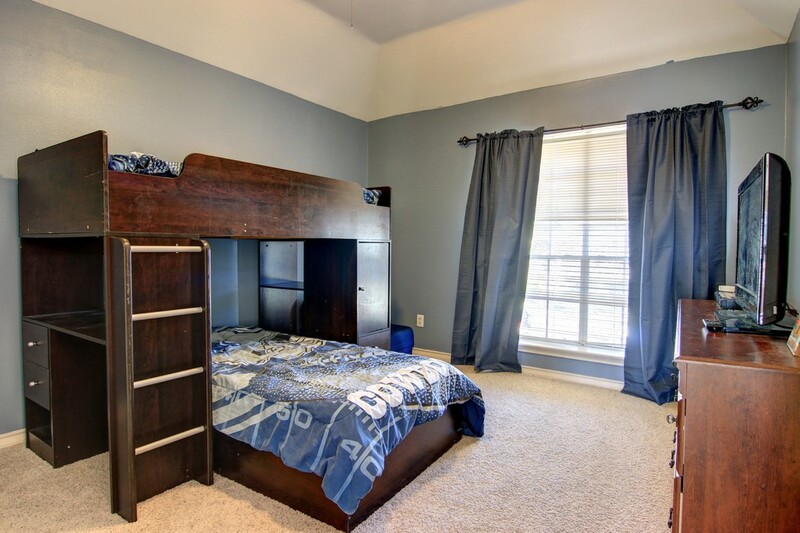 If you have small children, this room can easily turn out to be their favorite play area. Just imagine their thrill of having their private space where they can play and have fun all day long. 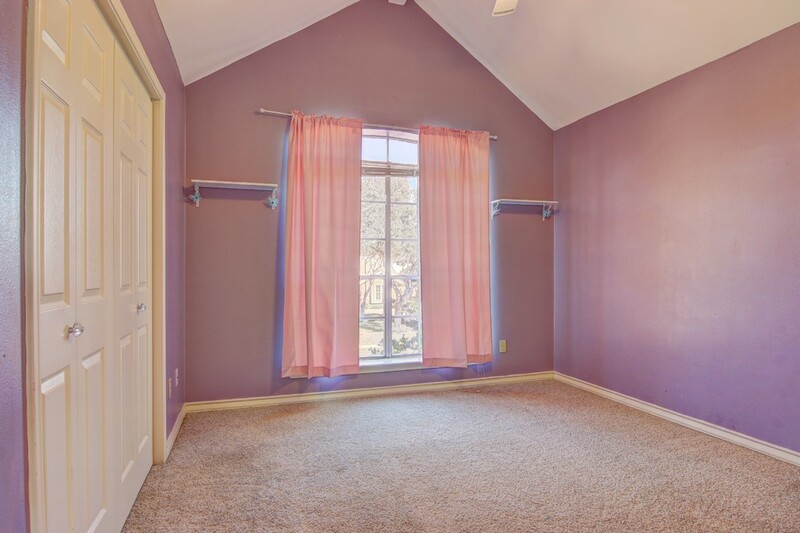 A bonus room and a laundry room completes all the rooms of this home. The glass door by the main floor family room opens to a large covered patio which runs along the entire back length area of the home. 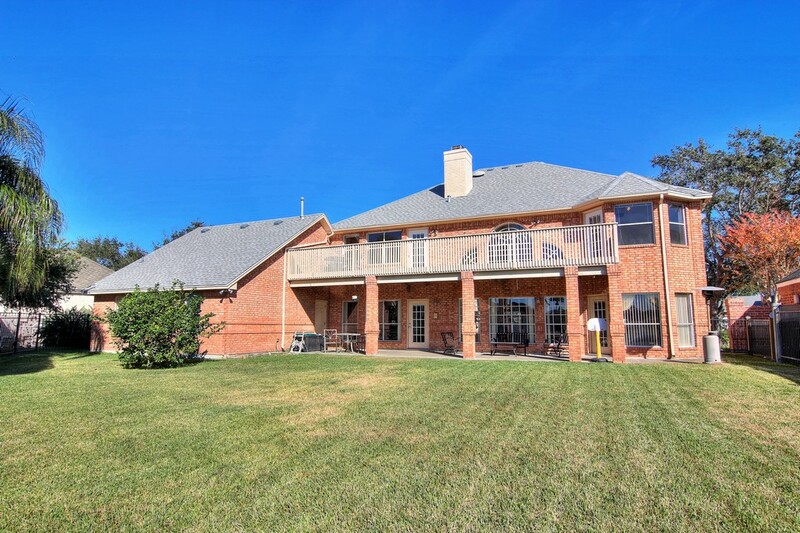 If you love having guests over, an outdoor barbecue grill would be a wonderful addition to this patio. It is big enough to accommodate a large crowd, perfect for get-togethers and company parties. It is also fenced for privacy. 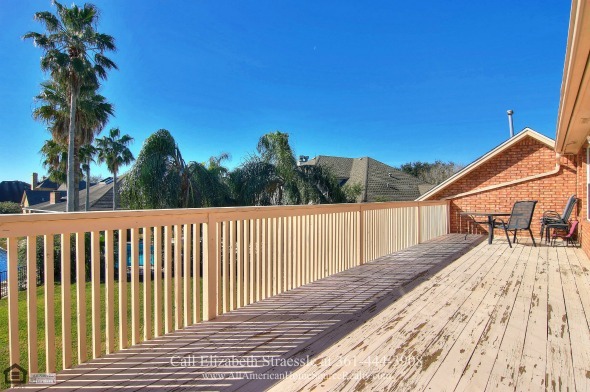 Living is easy when you have a backyard as stunning as this Corpus Christi home. All that you could ever want is in this home. With its gorgeous doorway arches, crown moldings, dual staircase, coffered ceilings, interior balconies and built-ins, it is packed with everything you could ever want in a home. Make it yours for ONLY $374,900. Would you like to see the other rooms of this home? 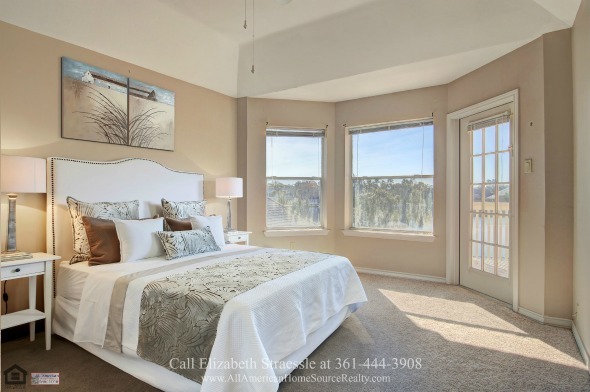 Visit our website http://AllAmericanHomeSourceRealty.com/. Homes like this are rare so don’t miss this chance! Call or text me, Elizabeth Straessle, at 361-444-3908. 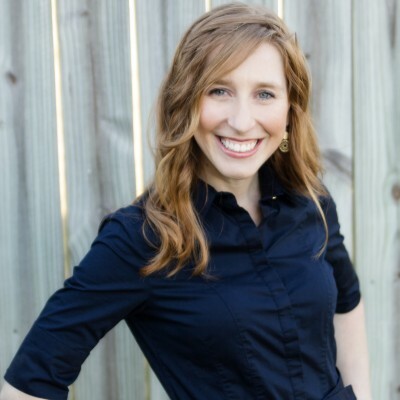 Let me help you find the home of comfort and convenience you are looking for. I'd like to know more about 4505 Grand Lake Dr..